Schools and colleges should ensure they are prepared for the potential cost of legal action brought about by the ‘no-win, no-fee’ legions of lawyers, says Richard Bird. The popular image of lawyers is a compound of caricatures such as Dickens’ Dodson and Fogg or Private Eye’s Sue, Grabbitt and Runne; firms with a ravenous desire to get someone into court and relieve them of unimaginable sums of money. So alarm bells will ring at the news that while D&F Law and SGR (with their new initials and logos) have departed their fusty offices near the Royal Courts of Justice for glass towers near Canary Wharf, the Co-op is busily recruiting solicitors to bring ‘supermarket law’ to the millions. That is not all. In this new world of legal practice, in a market town near you, a stall may already be proclaiming that a ‘claims handler’ will take on your most awkward parent’s case on a ‘no-win, no-fee’ basis. The most likely claims are for personal injury including hurt, physical or psychological, caused by bullying; foreseeable slips or falls; stress; asbestosis and, if someone wishes to chance their arm, failure to educate (though this seems to be more likely in higher education); alternatively, at school level, failure to identify or provide for a learning difficulty or mental disability. FE has had relatively fewer claims. This will undoubtedly change as the raising of the leaving age takes effect. Employment claims (usually for constructive dismissal) will often include claims of discrimination. While the popular view of lawyers is that they want to get into court, they don’t. No client is more dreaded than the one who insists on having his or her day in court. Almost always lawyers will do their best to induce clients to settle. Even Dodson and Fogg only went to court because Mr Pickwick righteously refused to settle. Some solicitors will set their claim a little lower than the cost to defend it, or a little below the likely award, to induce ‘the other side’ to settle. Union lawyers will be likely to settle, and insurers, too, will often tell a school to settle rather than fight. It can be galling when you know you are in the right, but then it is not your money to spend. Sometimes school or college leaders can find themselves in a situation where the boot is on the other foot and they are the one who wishes to expose the other side for malevolent behaviour. They will usually ind that their representatives, too, will take the view that it is better to settle and move on. 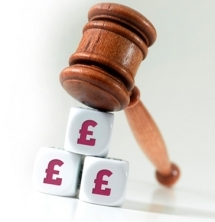 ‘Nothing is certain in litigation but the expense’, and emotional and personal cost often exceeds any compensation, quite apart from the likely damage to reputation. Allegations about private life or malicious web pages may be different, but a good court case with entertaining allegations can attract widespread public interest in the less high-minded sense. Is it better to put up with local difficulty, however painful, or to broadcast your enemies’ allegations to the nation? There are, however, times when others will be grateful to you for fighting to establish, for example, that ‘a school’s responsibility will generally end at the school gate’, that a school may send a child home to dress in school uniform or that the standard of proof in an exclusion case is the balance of probabilities. Or, alternatively, that an independent school can rely on a clause in its contract with parents allowing it to tell a parent to remove his/her child because the child is not able or willing to take advantage of what the school offers. We still wait to know whether an academy is a public authority and whether, as in Canada, a Sikh has an absolute right to wear a sword to school. Fighting such cases, however, requires deep pockets. The other side may be supported by a human rights organisation with the “moneyed might to wear out the right” as Dickens puts it in another novel. A school or college needs to be sure that any service level agreement or legal insurance it has will enable it to fight such a case as far as it goes.